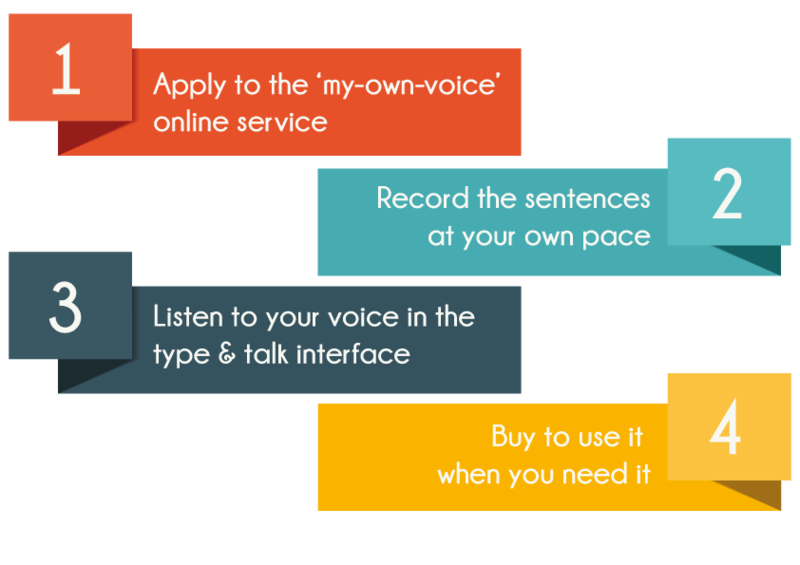 ‘My-own-voice’ is a web service designed to make it easy for anyone to create a synthetic voice, with the support of a speech therapist. The service can be used without any particular knowledge and equipment, besides a computer, a headset and an internet connection. The service presents the user with 350 to 1500 sentences that the user needs to record into the online system. These sentences will then be processed and used to create the text to speech voice. Once the synthetic voice has been created it can be used for free in a type&talk box on the website, or it can be purchased for use with SAPI on Windows, with Google TTS API on Android, or in a partner application. Please note that initially stage the service is free, until you decide to use the voice in a specific application. This gives you the possibility to test and verify the quality of the voice, or even re-record it, before purchasing. The recording process is web-based and has been adapted to make it accessible to anyone, free from all the technical difficulties usually handled by a professional recording studio. The use of a headset will be enough to guarantee good quality. The script has also been adapted, shortened and simplified to make sure that all users can record their voices, taking into account the difficulties and tiredness they may experience during the sessions. Do you want to create your voice? Please visit the ‘my-own-voice’ dedicated website and contact us via the contact form. ‘My-own-voice’ is the first step towards preserving your voice and maintaining the ability to communicate with this essential part of your identity. 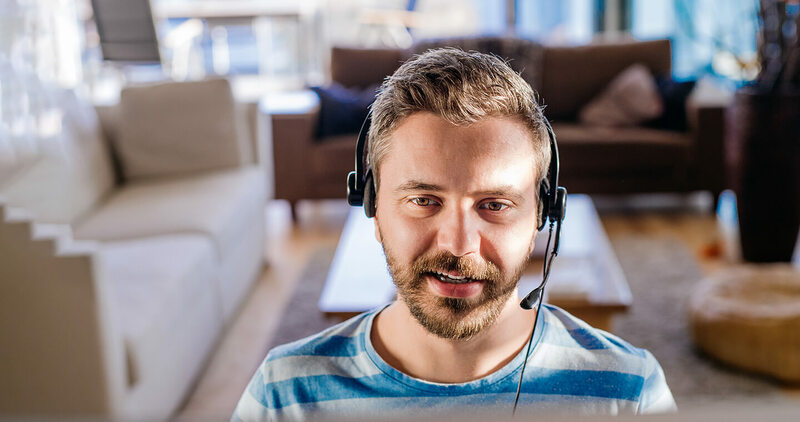 We know that what you need to most fully benefit from ‘my-own-voice’ is a supportive environment provided by committed professionals and adapted, responsive technology. Check out the partners we are working with. Check out the video made by John Costello, Director of Boston Children’s Hospital’s Augmentative Communication Program, using and commenting on his own voice created with my-own-voice. Thank you John Costello for your support. Look at TechKnow – an Al Jazeera report featuring ‘my-own-voice’ - Thank you Maggie Mahoney, from Grasp Assistive Technologies.